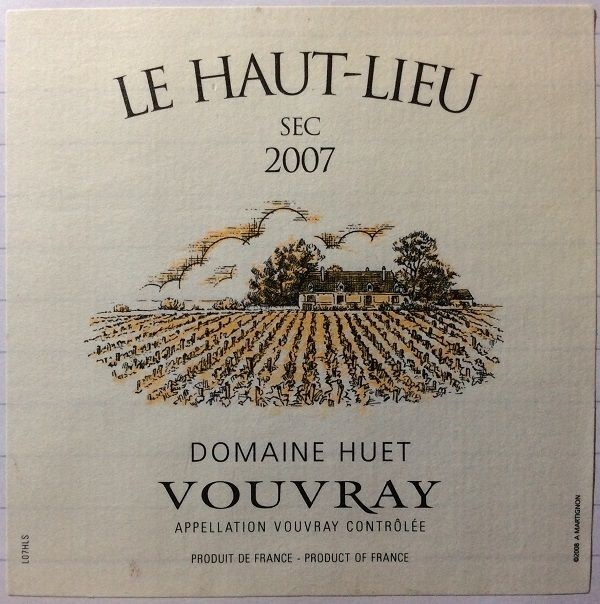 My first Huet wine, and my first Vouvray for 10 years and more. And a success, for sure. Pretty complex, rich, and fulfilling, without being overblown. Mid-gold colour. Medium+ intensity nose with 5 elements: cream, apple sherbet, toast, a touch of honey, and gentle lees. Rich, almost sweet front-palate, of caramel apples, but giving way to progressively drier, nutty apple and toast at the finish. Good balancing acidity vs. the med+ body. Quite long too. Moreish.